Wonderful Pied-A-Terre at the highly sought-after Caribbean Condominium located right on the beach. This corner residence has tons of natural light, open concept kitchen, 1 large bedroom and beautiful bath. The original 1941 lobby has been brought back to life by a famous designer and the original building blends perfectly with the new tower. It offers pool/ beach service, fitness center with sauna and 24/7 valet and security. This beautiful part of the beach is now known as the Faena District which has flourished in the past couple of years. Many restaurants are now within walking distance, as well as an art center and ice skating rink. Fabulous one bed one and a half bath at the The Caribbean condo a historic oceanfront Landmark completely restored in 2009 into upscale condominium towers that will recapture the glamour of a bygone era dated all the way back to 1941 when the building was first erected. Remodeled unit with SS appliances, designer Italian kitchen, countertop, wine cooler, W&D inside the unit. Enjoy all the amenities of a first class building, private beach service, 24hr front desk, valet, gym, wine cellar, cigar humidor & much more. Close to Soho BeachHouse, Fontainebleau Resort, The Faena and Faena Art, Edition Hotel. Please read Brokers Remarks. Owner Financed with a 50-60% down payment. 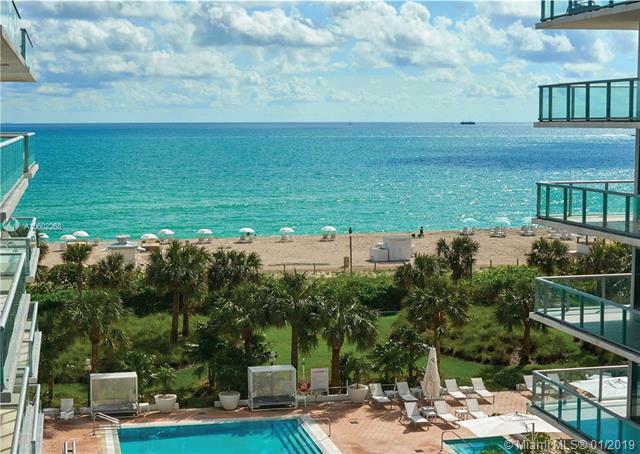 Oceanfront Boutique Building located in the prestigious Faena District. Beautiful 2 bedrooms 2.5 bath corner unit with wrap around balcony with over 600 sq ft. Floor to ceiling windows with amazing city and ocean views. European Island Kitchen with Miele, Sub-Zero, and gas range. Fully staffed and secure building with 24 hr doorman, Beach service, gym, pool, private wine cellar, and cigar humidor. Ocean and Boardwalk is your backyard. Near Soho House, Faena, and Fontainebleau. Easy to show. FEATURED ON CBS THE AMERICAN DREAM TV SHOW! WOW! PRESTIGIOUS FAENA DISTRICT 10 YR NEW BOUTIQUE BUILDING. 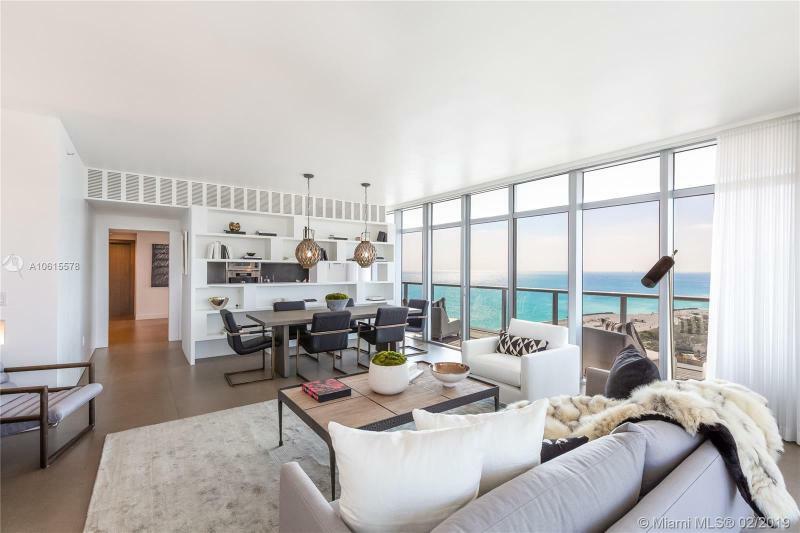 SPECTACULAR CORNER UNIT W/ 2 WRAPAROUND TERRACES OF 600 FT & AMAZING OCEAN + CITY VIEWS SEEN THROUGHOUT FROM FLOOR TO CEILING IMPACT GLASS WINDOWS. ST OF THE ART OPEN KITCHEN BOASTS SUBZERO+MIELE+GAS RANGE. FINEST FINISHES, BRAND NEW PORCELAIN GREY WOOD FLOORS BEING INSTALLED, NEW TANKLESS WATER HEATER, NEW WASHER/DRYER. LARGE MASTER SUITE W/ LARGE BATH W/ HUGE JETTED TUB, HUGE 6X8 SHOWER RAINFALL MULTIPLE SPRAYERS. SPACIOUS 2 BD+2.5 BA. A GEM! ALMOST NEVER USED BY MULTIPLE HOME OWNER. 5* AMENITIES: FULLY STAFFED & SECURE BUILDING W/24H DOORMAN, GYM W/ CLASSES, POOL, PRIVATE WINE CELLAR, CIGAR HUMIDOR, FULL BEACH SERVICE, CONCIERGE, VALET, CONTINENTAL BREAKFAST, EXPRESSO MEDIA ROOM. 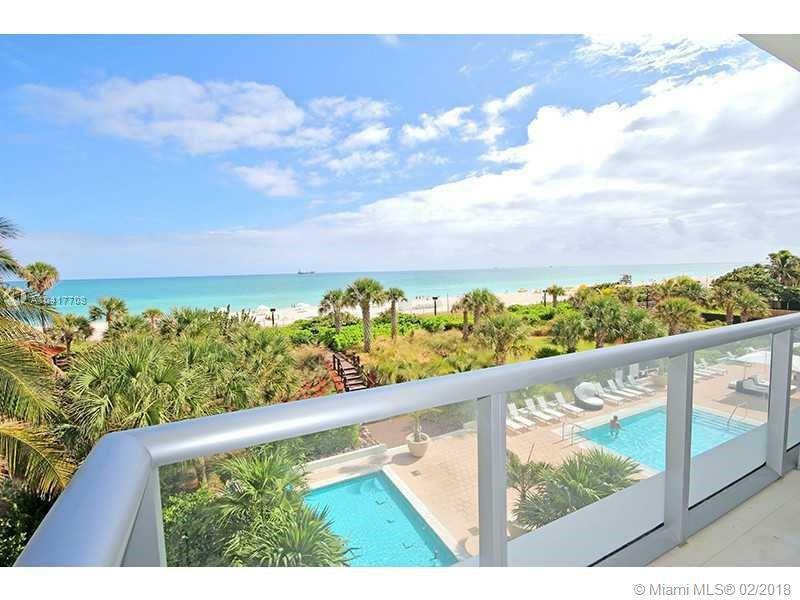 Breathtaking ocean, bay and city views in Miami Beachs famed Historic District. Oversized wrap-around terrace. Unit ensconced in floor-to-ceiling glass. Charming, boutique ocean-front building with many amenities. Fully equipped gym, easy board-walk and ocean access from resort-style pool deck. Towel & beach-chair service. Walking distance to the world class Fontainebleau resort, SoHo Beach House, and South Beach. UNIT IS NOT FURNISHED. Tenant occupied Available 11/2018. Unobstructed ocean and city views from this well appointed luxury estate in the sky with very expansive wrap around terraces. Live directly on the ocean in the well revered Caribbean situated in front of Miami Beachs most pristine beaches. A true boutique building with only 68 units. Top of the line amenities and concierge service this property with beach chair/towel service, gym, spa, private wine cellar and much more all a stones throw from Edition, Faena, Soho House with the ocean/boardwalk as your backyard. Shown by appointment only to qualified prospects.